Family Inc. is a roadmap to financial security for the family CFO. Too much personal wealth management advice essentially boils down to goal-setting, which isn’t helpful or effective in terms of overall financial planning. 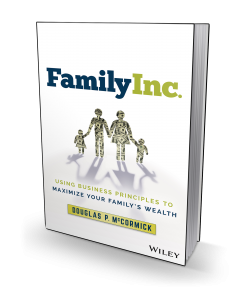 This book takes a different track, giving you a crash course in corporate finance and the tools to apply the field’s proven, time-tested principles in the context of your family’s financial situation. You’ll learn the key principles of wealth creation and management, and learn how to make your intellectual and real capital work for you. Your family situation is unique, and your principles must sometimes differ from the standard financial advice—and that’s okay. Life is not a template, and even the best strategy must be able to adapt to real-life situations. You’ll learn to chart your own path to financial security, utilizing the author’s own tools that he developed over 15 years as an active board member, chairman of the board, or chief financial officer of multiple companies. Every family needs a CFO to manage wealth, and the principles of corporate finance apply from the boardroom to the living room. Family Inc. delivers actionable advice in the form of CFO training to help you plot a real-world family financial plan. Douglas P. McCormick has accumulated a lifetime of experiences that have contributed to writing Family Inc. He has combined almost two decades of professional investing with time on Wall Street and broad business experience. Unlike Wall Street investors who pursue paper profits, Doug is an active private equity investor partnering with families and entrepreneurs to create enduring value through building and growing their businesses. Holder of a B.S. 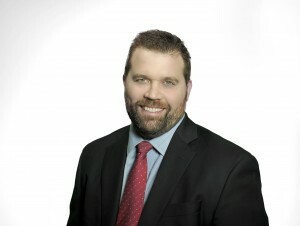 in economics from West Point and an MBA from Harvard, he is cofounder and managing partner at HCI Equity Partners. His motivation for writing this book started with his own challenges finding good personal finance advice as a young adult and his belief that financial illiteracy is one of the largest problems facing Americans today. He is optimistic this problem can be solved through awareness, education, and hard work.